The San Jose Blog: The Downtown San Jose Whole Foods Opens on December 9th! 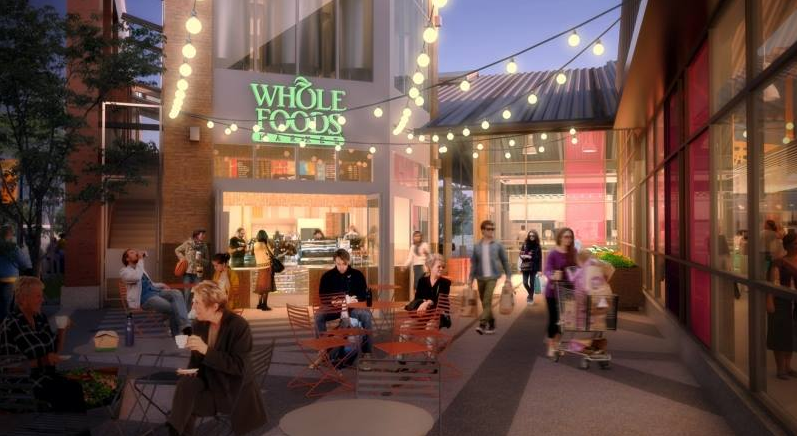 The Downtown San Jose Whole Foods Opens on December 9th! Looking forward to it! I really hope this helps the area around the Alameda really take off and bloom! I hope this is the anchor to revitalize the Alameda and spur development in this area of San Jose. IMHO, the store is going to be too small to serve all the potential customers in the area. That is terrific! I wasn't expecting this opening until 2015! That said, taking into account the Dec 10 opening date, I'm surprised didn't try to have things up and running by mid-November for Thanksgiving. So glad to have so many food shopping options within two miles–TJ's, Whole Foods, Mi Pueblo, etc. The Market/Safeway in downtown SJ is VERY EXPENSIVE, wondering what they'll do given all the competition.